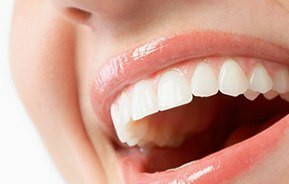 Cosmetic dentistry can be any type of dental procedure which enhances the patient's teeth and their smile, thus improving a person's overall appearance and self-confidence. Dental Veneers: In this treatment a thin wafer like material which is tooth coloured, known as porcelain veneer or porcelain laminate, is designed to cover the front portion of the teeth. These are used to correct and repair chips and cracks or severe tooth discoloration. Cosmetic dentistry focuses on improving the appearance of a person's teeth, mouth and smile. Cosmetic dentistry strives to restore symmetry and rebuild the tooth in a way that looks natural and appealing.